Sunny skies, long summers and delicious Mediterranean cuisine – buying property in Italy and moving here is certainly tempting. Recently, a Facebook friend asked for advice about real estate agents in Rome, and the conversation that ensued in the comments brought up interesting things, like what real estate agents do, and what the rental and buying processes are like in Italy. Needless to say, it’s pretty different than it is in North America. From my own home-buying experiences, here are some totally unromantic things about banking and odd real-estate vocabulary that you’re going to want to get down before embarking on the process. First off though: if you’re planning a long term move here, rather than just buying for holidays and investments, you’ll want to be sure you can legally live in Europe and are financially stable: here’s hoping you have a serious nest egg or a signed permanent work contract. 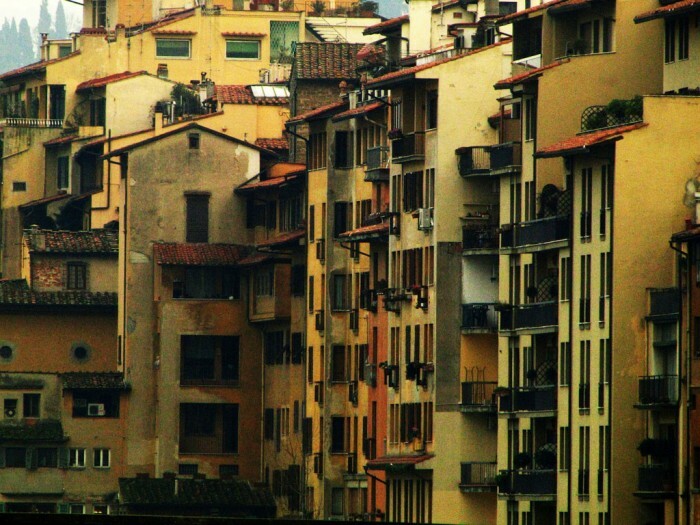 It’s wise to try living here for a while before making the leap – I suggest reading Girl in Florence’s post “Living in Italy: what is it really like” to help remove any romantic dreams you might have about this country. OK, so you’ve made up your mind, let’s look at what differs here in the real estate process. In my own experience, it’s a lot easier to find a place in the States, and set it up so that you’re ready to move in. I’ve done this twice (with rentals, mind you, not purchases). Here in Italy, I’ve lived in 3 different rental apartments before purchasing one in Florence, and we also have bought a place in Maremma. Going through these processes has given me a certain insight into the matter and I wish someone had explained some of this stuff to me before I went ahead and did it. To refresh my memory of some of this terminology, I consulted the ultimate property guide for Italy, which reminded me of a few things I’d tried to forget! Estate agents in Italy perform a somewhat different role when compared to the UK and US, so it’s important to know exactly what services they’ll provide before you commit. Generally, Italian real estate agents will not help you search for a property, but simply represent the seller. This agent charges a fee when you buy the place, and his or her role is primarily to assist in negotiations and the documentation to close the deal. This means you need to know the vocabulary of property (like what a bi-vani means) as well as have a good sense of where you want to buy (including what part of a city). If you’re purchasing from abroad, you will want to look for an agency online that can actually represent you and take care of things for you in English – things like getting an Italian tax code, opening a bank account and drawing up the contract – all of which would be very difficult without some local expertise. Property jargon can be difficult to understand even if it’s in your native language, but if your grasp of Italian is limited, then it’s going to be whole lot more confusing. Although it costs and arm and a leg, you’re going to need all legal documentation translated by a certified legal translator to make sure you are able to fully read it all. This can be to your advantage: upon reading documents related to our home in Maremma, we found that it includes a small slice of outdoor space about which nobody knew! Before you even breathe, make sure you have a codice fiscale, the Italian tax code required to do anything fiscal here, which you have to procure from the Agenzie delle Entrate. Then let’s talk property terminology. Here’s some crazy stuff. You will have to pay two separate deposits, a proposta d’acquisito and a caparra confirmatoria. The former is usually relatively small and confirms your intention to buy the property. It is also refundable should the sale fall through. 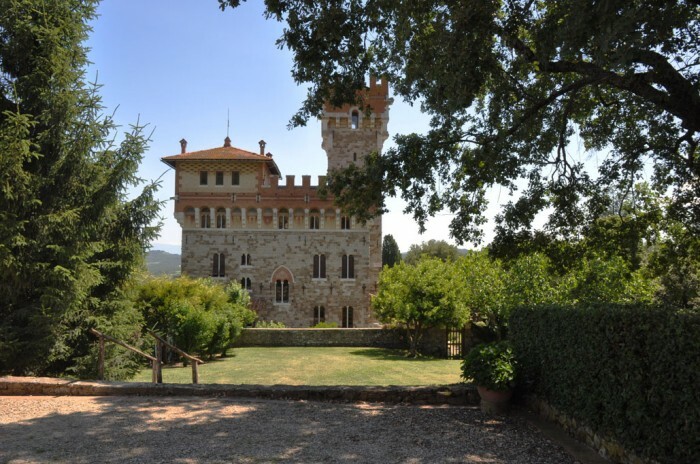 The caparra confirmatoria, on the other hand, is paid once the seller accepts your offer and is usually priced at 10 per cent of the property’s value. It is important to note that if you back out of the deal, this deposit is strictly non-refundable (although you will be reimbursed if the seller cancels the sale). Then you move on to the rogito, which is the document of sale or deed, at which time you meet up at the notary’s office with your suitcases full of cash (just kidding – you have to pay with an assegno circolare – I felt like I needed an armed guard to accompany me, so scared I was to lose this or get jumped on the way). As the buyer you are responsible for ensuring that any documentation pertaining to the property is legally binding, including the deed itself. The latter will need to be drafted and registered by a notary, which will cost you between 1.5 and 2.5 per cent of the property’s purchase price. Your real estate agent may have a notary if you don’t happen to know one yourself. You’ll want someone who is very thorough even if he seems like no fun at all. Prospective buyers must request copies of documentation regarding the property’s history, either from the current owner or the local property tax office, and check that the registered floor plan is fully up-to-date. If previous renovations have not been registered on the official floor plan, then you could be held responsible for them. This means verifying that the spaces drawn on the floor plan, including heights, garden space etc., match reality. If it doesn’t, the seller is responsible for doing this (and the associated cost) before the deed can be signed. It’s also important to have this documentation of what has been altered in the past in your house when you decide to do any renovation yourself. For example, it’s good to know that the last time the pipes were changed was in 1952… may be time to do that work. To buy a home here you’ll need to get an Italian bank account, which for non-residents is known as conto estero, and should result in some significant savings as you will not be subject to withholding tax. In order to open a bank account you’ll need your passport, a resident card or proof of employment, some proof of residence (such as a utility bill), and your Italian tax code. Just as in any other country, the rates being offered by financial institutions will vary from ridiculous to extortionate, so do shop around before you open an account. If you have a friend who knows a bank manager, ask that friend for an introduction. When shopping around, ask about and negotiate foreign exchange rates and any additional charges around the house payment: the bank wants your business when you’re transferring a few hundred thousand euros in, so you’ve got the upper hand. Buying property in Italy is unquestionably exciting. And just as we love this country and its crazy ways, we can only sit back and giggle at the real estate process, which is simply part of the learning experience! My best piece of advice is to be vigilant and thorough. Ask (repeatedly if necessary) and read up to make sure you understand what you’re going through – it’s your right! Consult with experts and if necessary, pay a second notary or lawyer to check the documents. Make sure everything is done to the letter so that you can enjoy your property for years to come, worry free.